The Toronto Stock Exchange closed with losses Thursday despite better sentiment sweeping the global markets. China making it easier for its banks to lend to each other and hopes that Greece’s new proposal could keep it in the Eurozone, together with more gains in oil prices led to Asian and European markets closing higher. Wall Street also gained. Toronto had seen some highs during the day but ended with triple digit losses. 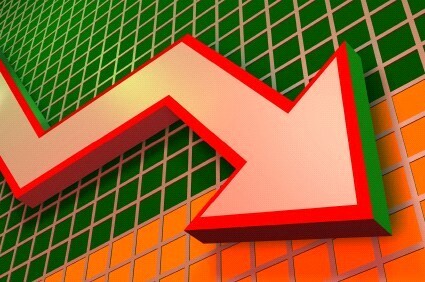 The International Monetary Fund said Thursday that the global economy is at its lowest growth since the Great Recession. Global growth it says will be 3.3 per cent this year, revised down from its previous 3.5 per cent forecast. The weak start to the year for the US economy is to blame. Canada will grow at 1.5 per cent according to the latest outlook, that’s down 0.7 per cent from its April forecast. Not surprisingly the downgrade is due to lower oil prices and the industry’s reduced capital expenditure. Blackberry CEO John Chen says he has “no intention to sell” the Waterloo, Ontario firm. Speaking to CBC he said that he wouldn’t consider that option until shareholders can get “good value to reflect what we truly have.” Blackberry’s heyday may be behind it but recovery is underway but Chen told Amanda Lang that the turnaround is only about halfway through. While the company still struggles to gain ground in its hardware business against Apple and Android devices the software side of the business is gaining. The chief economist of Gluskin-Sheff says that he is increasingly cautious about the Canadian dollar. David Rosenberg said in a client note Thursday that a cocktail of issues are potential issues for the loonie including a widening gap between US and Canadian interest rates, a loss of Canadian competitiveness compared to the US, political risk and lacdk of growth. The economist says that the currency could be only three years into a ten-year bear market.